In the “Blind Art Project”, educational experts from the museum describe every detail of a specific work to the children taking part. The art experts ask questions, draw comparisons, skilfully stimulate the children’s imaginations and support their intuition and understanding. The young creative artists then recreate the artwork using LEGO bricks in just the way that they imagine it. The results of the opening workshop, which focused on the painting “The Blue Horse” by Franz Marc, were impressive: “The children created the most imaginative masterpieces, from dream landscapes and horses to rainbows, and the colourful stories that were told in the discussion period afterwards demonstrated just how much the children had enjoyed the workshop,” says Friedel. 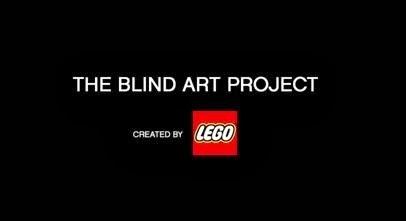 A documentary film gives a very moving account of all of this and numerous photos of the works of art that were created are also available to be admired on LEGO’s Facebook page. “Fine art, particularly painting, is something that is denied to people who are unable to see, but we have given blind people the opportunity to access art,” says Matthias Harbeck, Creative Director at Serviceplan Campaign. Social awareness and supporting children, who are after all one of the most important pillars of our society, have always been firmly embedded in the philosophy of the Serviceplan Group – whether in the form of job application training for people from an immigrant background, free communications services for charitable institutions, or financial support for Munich’s Kinderkunsthaus (children’s art workshop). Special thanks must go to the Bayerischer Blinden- und Sehbehindertenbund e.V. (Bavarian association for the blind and visually impaired) for their assistance in the “Blind Art Project”.